And now for the last site I think you'll enjoy (once you're done reading this page each weekday, of course) - a blog I love called Well Worn. 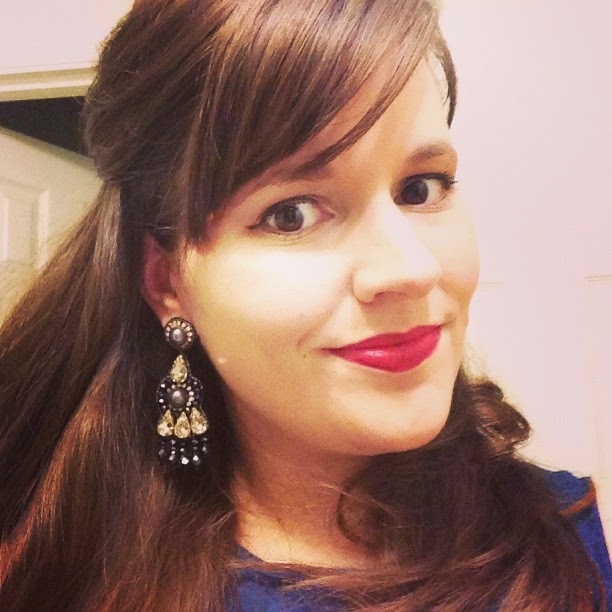 Blogstress Nicole is living my dream - she married a Brit and is living stylishly in London. I love her picks when it comes to clothing and decor and wish she'd post every day so I can have another lunch break treat to look forward to. 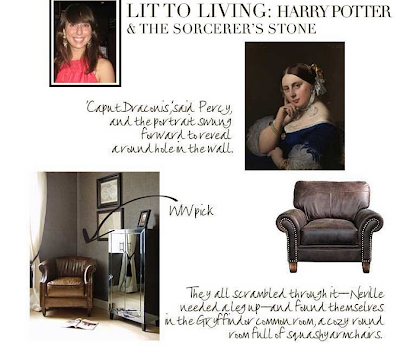 However, I think my favorite feature is the Lit to Living posts where Amanda, her guest blogger, takes passages from books that describe indoor spaces (like the Gryffindor common room!) and finds furniture and accessories that would fit in the rooms. I'll be back to posting in a day or so - I've enjoyed my break and can't wait to tell you all about my wedding and honeymoon!